A new Russian movie, Sobibór, is making its way into Russian theaters and European capitals. The big-budget, highly promoted film tells the story of a prisoner escape from the Nazi death camp Sobibór in October 1943. The escape, a uniquely successful event of the Holocaust, was organized by Alexander Pechersky, a Jewish Red Army officer and a prisoner in the camp. Russia’s hitherto scant contribution to Holocaust films alone would make this new film worthy of attention. But what is particularly remarkable is the support the film has received at top levels of the Russian government. 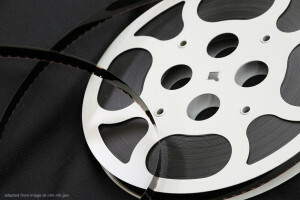 The idea of the film belongs to the Russian minister of culture Vladimir Medinsky, whose ministry financed its production. The Kremlin put a viewing of the film on the agenda of President Putin and Israeli Prime Minister Netanyahu’s Moscow summit in January. In April, Valentina Matvienko, chair of the Duma’s Federation Council, organized a joint screening and discussion via videobridge with her counterpart at the Israeli Knesset. Konstantin Kosachev, chair of the Duma’s Foreign Relations committee, also participated. This level of official Moscow attention to the subject of the Holocaust is highly unusual. In Soviet times, Moscow strived mightily to obfuscate the special targeting of Russian Jewish citizens during the war. Archives were closed. The vast oeuvre of Soviet films on the “Great Patriotic War” contains just a smattering of feature films referencing the genocide of the Jews, and none have left traces in popular memory. After 1991, scholarship picked up somewhat; however, as of 2017, only a single Russian doctoral dissertation had taken up the Holocaust as a direct subject. [i] Just a couple of years ago Russian historians were telling me that they couldn’t arouse official interest in the subject. A few weeks later, Sobibór was on the agenda of the Putin-Netanyahu summit in Sochi. Amid hard security discussions about ISIS, Syria, and Iran-issues of existential significance to Israel-Netanyahu assured his counterpart that Israelis never tire of proclaiming the role that Russia and the Red Army played in liberating the world from Nazism. When the two leaders met again in Moscow in January 2018, Sobibór was again part of their discussion: in addition to viewing the film, the two attended the opening of a special exhibit dedicated to the Sobibór uprising. The story of Sobibór must appeal to Russian officialdom because it so neatly fits into its historical memory policy and state ideology, which views the victory in World War II as the primary legitimizing event at home. Internationally, the Kremlin has been hard at work projecting an image of Russia as the liberator of Europe from Nazism. In this narrative, Red Army soldiers as liberators occupy pride of place. The Sobibór rebellion supports that narrative in full, right next to the liberation of Auschwitz (something Moscow is traditionally wont to highlight as well). Matvienko formulated the talking points of this campaign best in her remarks, made after the joint Duma-Knesset screening, that Russia will not stand for the “distortions and falsifications” of history with regard to World War II, and positioned Russia as the upholder of sacred historical truth. Sobibor the movie is clearly meant to play a key role in this broader campaign. Yet, if we set aside the heavy ideological burden that has been placed on it, the film undoubtedly has inherent value. The level of knowledge about the Holocaust in Russia remains abysmally low. The host of a popular Russian TV show recently asked members of his audience to raise their hands if they knew what Sobibór was. Only a few did. He admitted that he as well as many of his well-educated friends were similarly uninformed. Given the massive state-sponsored marketing effort behind Sobibor, could the film trigger an interest in the broader subject of the Holocaust? Despite some criticisms on the part of historians, the film is a sincere and earnest effort on the part of its director, Konstantin Habensky. Among its virtues, it restores a measure of historical justice to Alexander Pechersky. Pechersky’s heroic action never was recognized in his lifetime by the country he served with such dedication-quite the contrary. In 1948 he was arrested in the anti-Semitic “rootless cosmopolitans” campaign. He was prevented from testifying at a number of high-profile international trials of Nazi criminals. He was prohibited from attending the premier of the British film Escape from Sobibór in 1987. He died in 1990 in his native city of Rostov-on-Don, remembered by only a narrow circle of his Sobibór comrades, who by that time had dispersed across the globe, and by students of Holocaust history. He deserves to become a household name in Russia-something the film may well achieve. Moscow’s Sobibór campaign is set to continue. Special screenings of the film are being held around the world. President Putin invited descendants of the Sobibór uprising to join him in Moscow for the May 9 Victory Day celebrations. No doubt more events will be rolled out in advance of the 75th anniversary of the uprising in October. The question is, what happens after that? Will the Kremlin do more to stimulate further study of the Holocaust or drop the subject once it’s outlived its value? If it is in any way serious, Russia should finally become a member of the International Holocaust Remembrance Alliance. It should also open its still closed archives. And it should help its citizens learn about the Holocaust events that took place closer to home. Few in Russia realize that 2.7 million of the 6 million killed were Soviet Jewish citizens murdered in Nazi-occupied Soviet territories, including Russia proper, mostly by bullets. That part of the Holocaust is far more complex for Russia to tackle. It raises difficult questions about local collaboration by Soviet citizens (including ethnic Russians), a wartime evacuation policy that left Jews sitting ducks in the face of the approaching disaster, and the long postwar silence. And this suggests an idea. Why not, for example, invest some state funds in a movie about the Holocaust in Russia? A worthy subject of such a film would be the murder of 27,000 Jews in Zmievska Balka, a ravine outside Pechersky’s hometown of Rostov-on-Don. The killings there, one of the largest massacres of the entire Holocaust, were perpetrated by the Germans with the help of Russian collaborators. In turning the camera’s eye on Russia’s own history, the Kremlin could also honor the memory of a hero it has so recently taken to heart. [i] Kiril Feferman, “Studying Russia or the Soviet Union? Holocaust Scholarship in Contemporary Russia,” Dapim: Studies on the Holocaust 31, no. 2 (2017): 165-17.